I am a fan of soundtrack albums. I like score albums, compilation albums, and albums that feature both score and popular music. I own, and enjoy, the soundtrack album for (at least) one film I have never seen. Some of my earliest and most powerful music-related memories involve soundtrack albums. To my pre-teen brain, the backseat of a 1981 Honda Civic wagon, especially at night when the only light came from the dashboard, could be almost anything. For example, James Horner’s Star Trek II soundtrack album could make it feel like the bridge of the Starship Enterprise. That cassette (and others) eventually became a series of squeaks. In my previous Flow columns, I have argued that soundtrack albums are worthy of more sustained attention. That analysis of soundtrack albums requires an address of their visual and textual information: covers, marketing materials, liner notes, and credits. Having already claimed that soundtrack album audiences are not consumer dupes, I want to use this third column to consider unofficial soundtrack albums and fandom. To analyze soundtrack albums is to think about who makes them and the reasons for creation. In my youth, I was also fortunate to witness the audio preservation of television. Much like those who created audio documents of Doctor Who episodes (whose work has now become the sonic spine for an animated episode), my brother Karl created his own version of Star Trek. My family did not own a VCR in the early 80s, and as children we did not have access to our own television, but we did have cassette players. Study of the TV schedule allowed decisions about which episodes to preserve. He placed a microphone in front of the TV speaker to transform (ephemeral) television into a (permanent) sonic Star Trek. 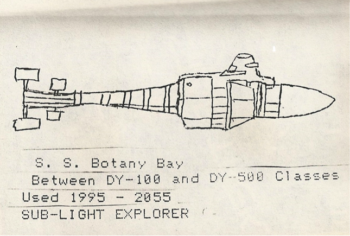 Then he used a typewriter, a Xerox machine, a Star Trek: The Motion Picture poster, a library book and his terrific creativity to create artwork (above). This is a Star Trek he could control (and less scary than some official audio versions). This is a Star Trek that he co-authored. He did not do all this work for glory or profit. He did it all because he was a fan of Star Trek. If we define a soundtrack album as one featuring at least 51% music  and with overtly signaled ties to another text (audio-visual or not), audio transfers of Star Trek and Doctor Who do not fit within these parameters. These recordings, like the programs they remediate, favor dialogue over music. They are transfers of a text’s complete audio contents. Importantly, they also follow an industrial practice, albeit a less common one, of releasing albums of the full sonic material from films, plays, and films based on plays. And here is the holy grail for some soundtrack fans: absolute sonic fidelity to the other “primary” text. But even if we exclude my brother’s Star Trek from the category of soundtrack album, it does not mean it should be excluded from conversations about soundtrack albums. This text also highlights the fact that soundtrack albums remain under-examined in both fan studies and studies of audio piracy. It seems reasonable to state that movie and TV fans buy soundtrack albums. I would also claim that many fans, when the market does not meet their needs, access bootleg soundtrack albums. Furthermore, some fans create soundtrack albums. By this I do not mean to suggest that fandom should ever be conflated with the illegal exchange of media. I do, however, want to argue that fandom drives the creation of soundtrack albums by corporations and individuals. On the amateur side, soundtrack fandom pursues two frequently overlapping goals: 1) to create something that does not already exist, or 2) to “correct” the official release(s). 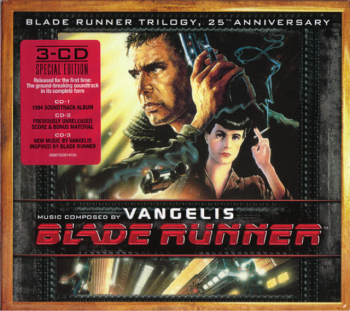 The various albums associated with Blade Runner (1982) readily demonstrate both goals. Some facts: there are as many official soundtrack albums (three) as theatrically released versions of the film (three, not counting the “workprint”). But there are far more (official and unofficial) soundtrack albums than versions of this famously unstable text. Another installment of “spot the soundtrack (album)” on these albums could encompass far more than my allotted word count. But here is a greatly condensed account. Blade Runner invites, and receives, devotion. Yet why does the scholarly literature on the film’s fandom have so little to say about the albums? More generally, why do fan studies scholars—who surely access legal and illegal soundtrack albums—overlook them? 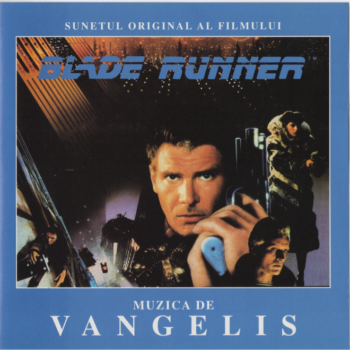 Is the labor of creating Blade Runner bootlegs categorically different from the labor of fans in creating filk songs, vidding, or composing fiction? The “Esper” curators, and others, create (fake) record label names, song titles, album art, and choose not only what sonic and visual material to include but how to arrange that material. All of these decisions create meaning. Soundtrack album creators often profess, and fans request, fidelity to the film or TV program. Clinton Heylin, in his history of bootleg recordings, argues that fans wanted “original film soundtracks on record,” rather than re-recordings of the music. Providing the exact audio material from a film may not appear to offer a “creative transformation” in the same way as other forms of fan labor. And their work is often associated with a vacuum in the market. But note that bootleg soundtracks have circulated through the same channels as other fan productions: conventions, tape trading and file sharing systems. Fans have created pirate recordings for themselves and other fans. Expanding our sense of film music, fans can also impact our sense of their labor. As Nancy Baym recently noted: “Nearly, if not all, musicians are fans. Many fans make music.”  To this I would add that composers are also fans. Elmer Bernstein is responsible for the first album of Bernard Herrmann’s rejected score for Hitchcock’s Torn Curtain (1966). Bernstein was a fan of his peer, and his Film Music Collection series (1974-79) created recordings of music he admired but was not readily (or legally) available. In the following years, labels such as Varèse Sarabande and Intrada appeared in the U.S. market to help officially meet the desires of film music fans. These are small entities catering to a niche market, and take on the production risks that major media corporations deem unworthy of their time. The Blade Runner releases are typically described as “score” albums, though nearly all include the 1930s pastiche “One More Kiss, Dear” (or the Ink Spots’ “If I Didn’t Care”). And while the soundtrack market favors score albums like those created by Bernstein, compilation albums are a staple of amateur production. 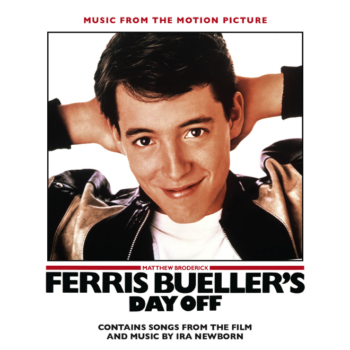 Some, like Ferris Bueller’s Day Off, eventually become official releases. The La-La Land Records’ album pictured above was released in 2016, “following 30 years of cobbled-together mix-tapes, YouTube playlists, Japanese bootlegs, and awkward negotiations with Swiss synthpop musicians.”  Unlike most other John Hughes productions, the film never had an official soundtrack release, in part because the writer-director explained: “I just didn’t think anybody would like it.”  Hughes was wrong, as the numerous (never only Japanese) bootlegs demonstrated over the years (though these releases seldom include Newborn’s music). The film’s use of particular mixes of (somewhat) obscure songs created a welcome challenge for fans to create their own albums. The belated official release is, unsurprisingly, incomplete  and so keeps alive the conversation between industrial and amateur production. As long as films have featured music, audiences have enjoyed experiencing that music outside movie theatres. 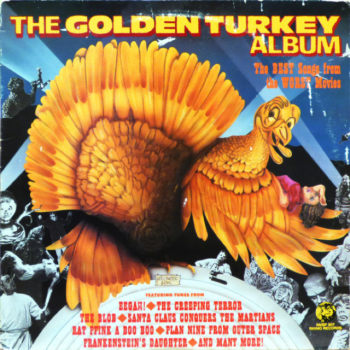 One music critic in 1986 wrote of soundtrack albums: “the record summons up once again the memorable scenes from the movie and sometimes even stirs the same emotions you felt in the theater.”  This remark opens a review of The Golden Turkey Album: The Best Songs from the Worst Movies, which, he argues, caters to the “bad-movie brigade,” an audience heretofore neglected by soundtrack releases. This same audience is one that scholars such as J. Hoberman and Jonathan Rosenbaum in Midnight Movies (1983) were already lauding for their active responses to films. This “brigade” is a creative, and active, audience: individual fans and clusters of fans who talk about and sing along with films. A group including audience members, artists, musicians and composers. Fans who record television, create art, crate-dig (literally or virtually) for specific versions of songs, and curate albums. There is more to be understood about the intersections of fandom and soundtrack albums, whether operating legally or illegally, whether creating or sharing, whether copying or buying. 1. 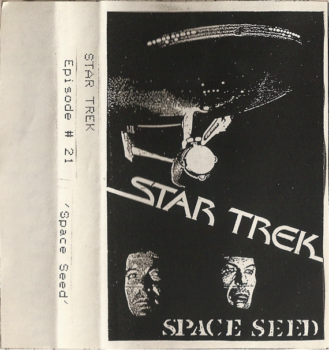 Cover art and scan of art provided by Karl W. Reinsch. Included here with the artist’s permission. Permission to repost not granted. 2. Cover art and scan of art provided by Karl W. Reinsch. Included here with the artist’s permission. Permission to repost not granted. 3. Author’s scan of CD booklet. This space might be used to discuss personal experiences in soundtrack album fandom. I have already done that above, but I can say more. For example: the first (and only) time I attended a STAR TREK con I did not come away with any soundtrack albums. But I did go home with VHS bootlegs of V: THE FINAL BATTLE (1984) and Herzog’s NOSFERATU THE VAMPYRE (1979), the latter of which came with free burned-in Japanese subtitles (betraying its status as a copy of the Japanese LaserDisc). More importantly, I clearly recall the first time I had to do a little work to acquire a soundtrack album. After perusing the “soundtrack” section in the Hasting’s store in the town mall, I approached the gentlemen at the counter and expressed my desire to order the soundtrack for TERMINATOR 2 (1991). Perhaps because of my trepidation, or the fact that he could smell my teenage angst, the employee sternly informed me that the album did not “have the Guns ‘N’ Roses song.” I was, admittedly, a fan of the band’s earlier work, but I wanted the Brad Fiedel score (I was quite taken with the film’s theme and did not yet prefer the original film’s 13/16 time signature). Mercifully, but a bit grudgingly, he took my order. A few weeks later I had the CD, and still do. The packaging is pretty boring, but I was ecstatic that I had the right music to play while watching for mushroom clouds.